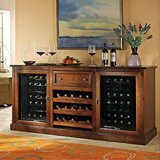 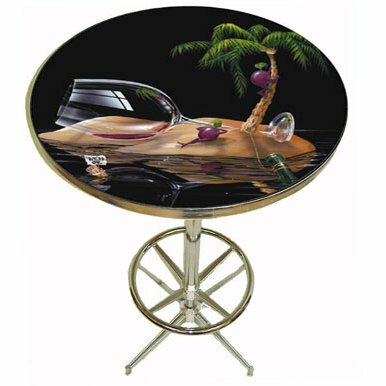 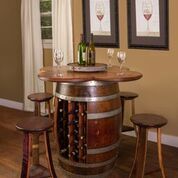 Add one or more of these pieces of wine bar furniture to your home to enhance your decor and add a conversation piece to the room. 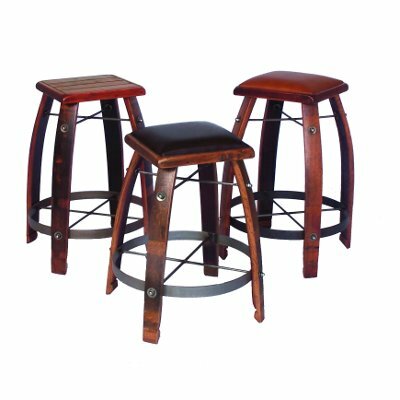 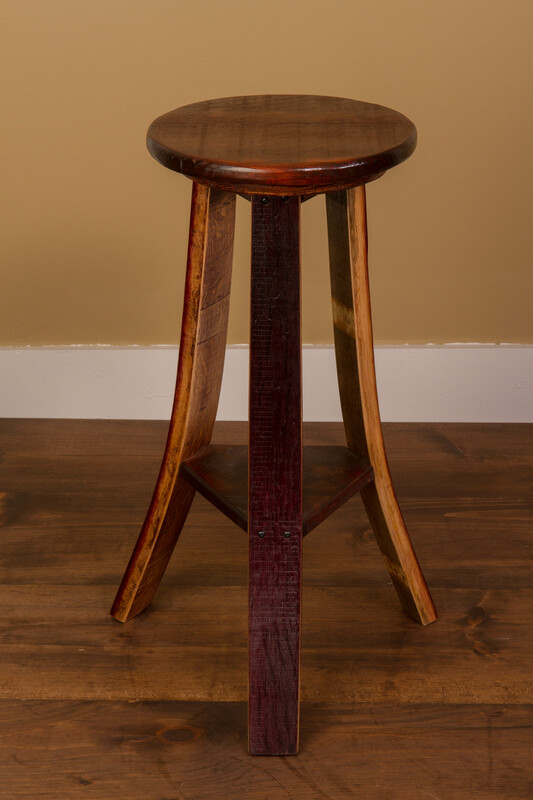 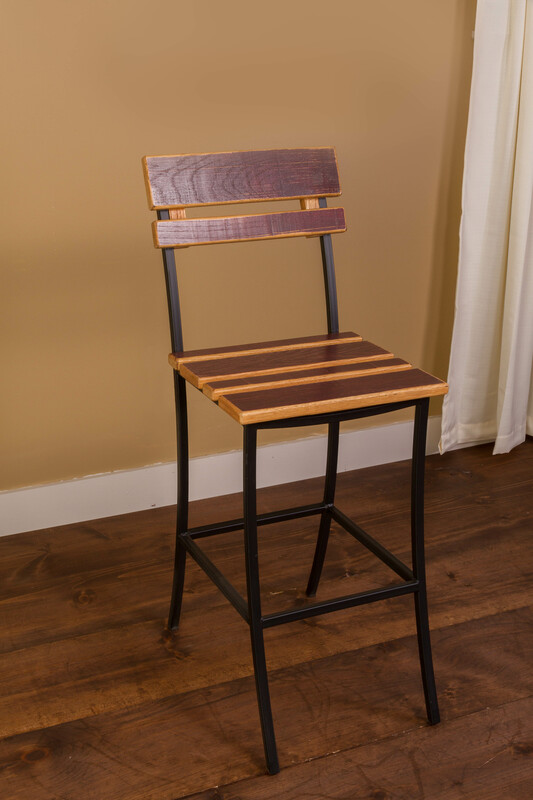 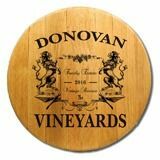 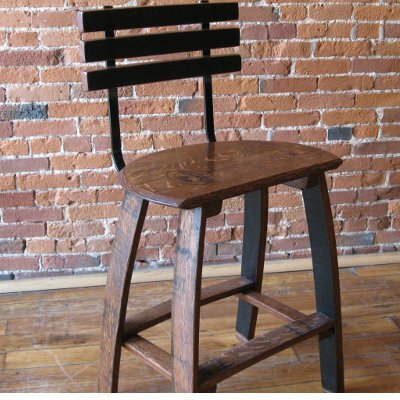 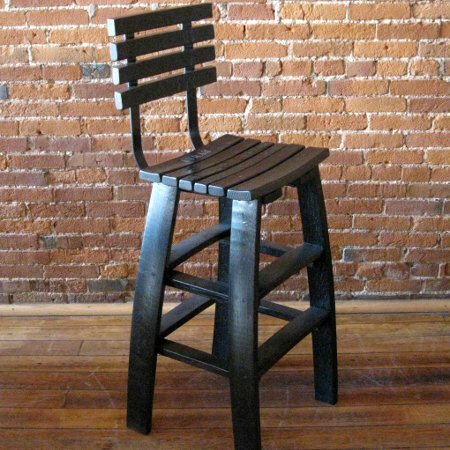 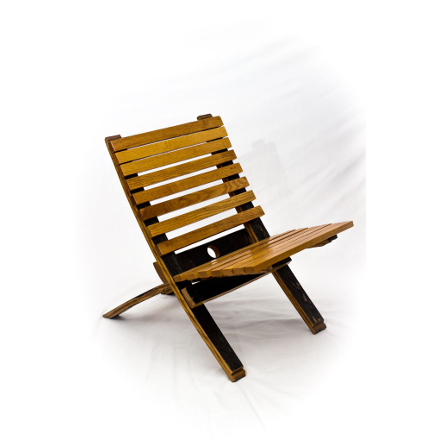 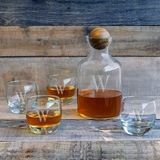 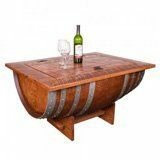 These are hand-crafted from re-purposed wine barrels, so they make an environmentally friendly option and a unique style choice for the home. 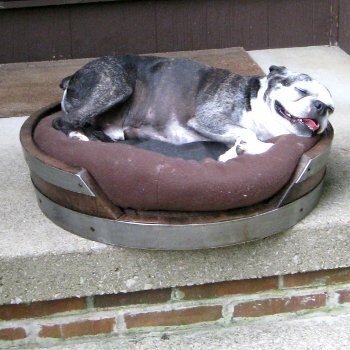 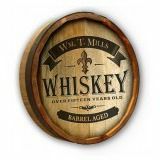 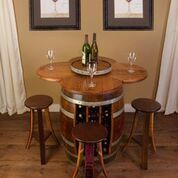 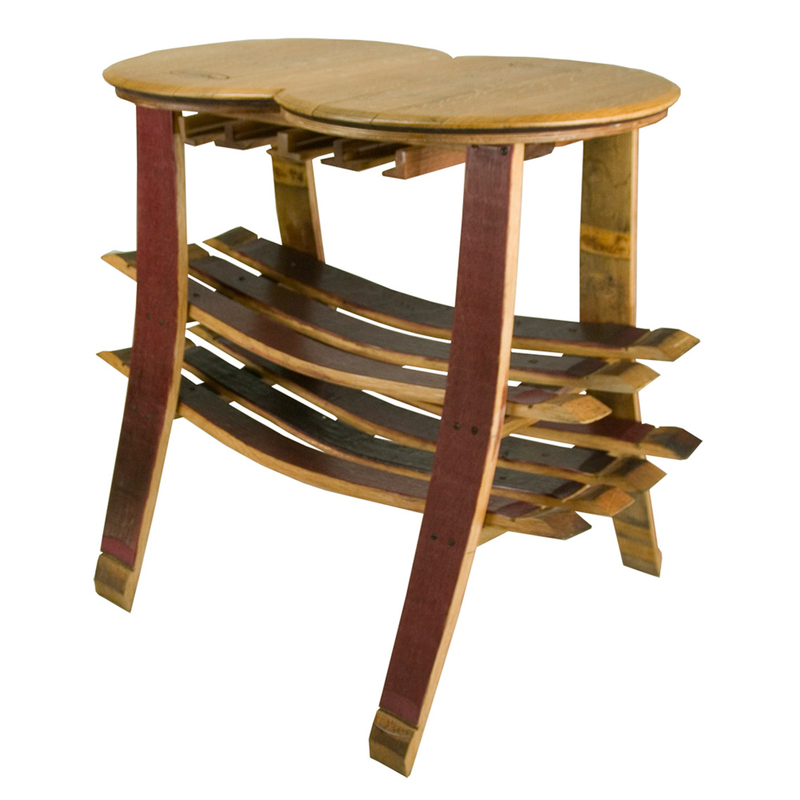 Each uses wine barrel staves as the legs or the whole barrel as the base. 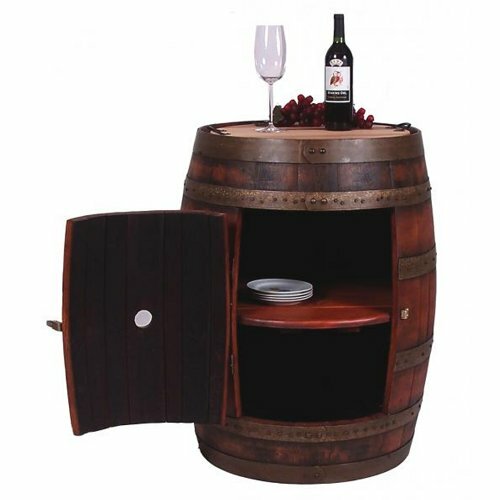 Wine furniture is nice to look at and also very useful. 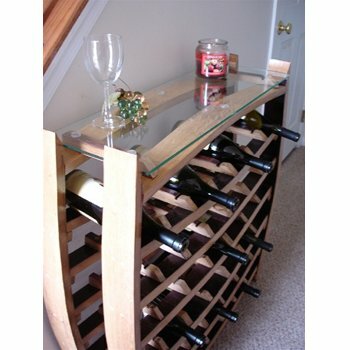 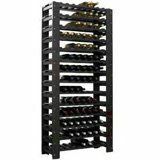 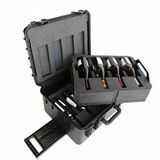 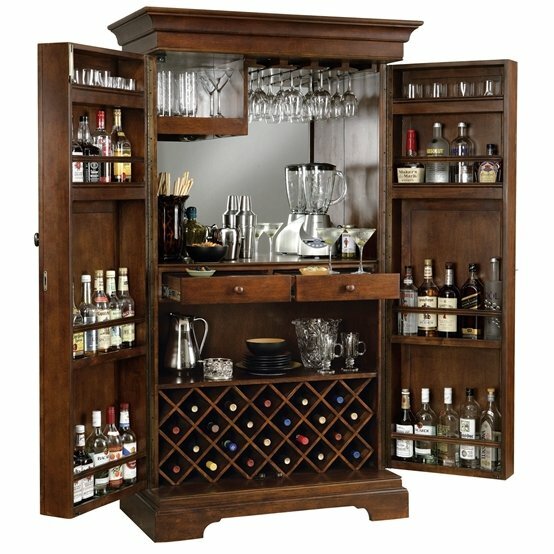 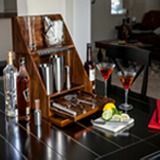 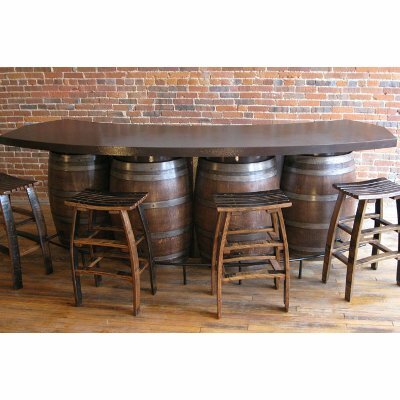 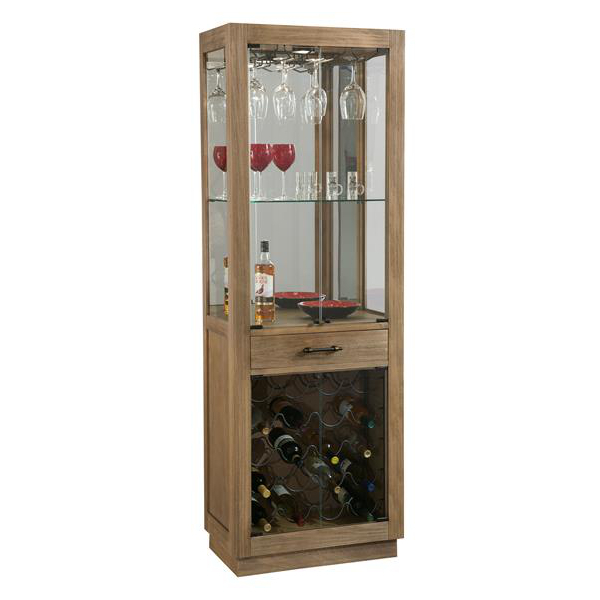 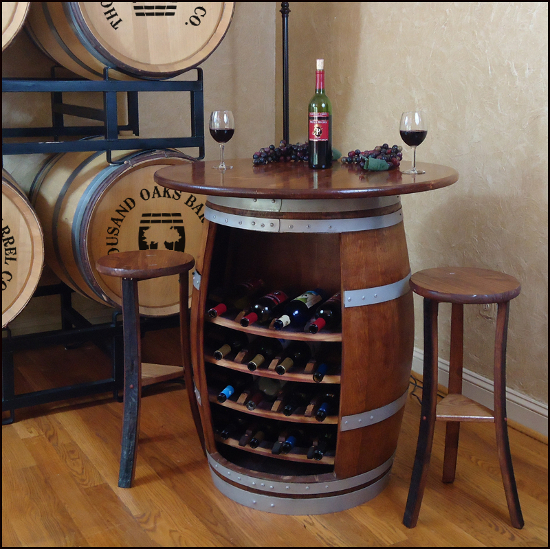 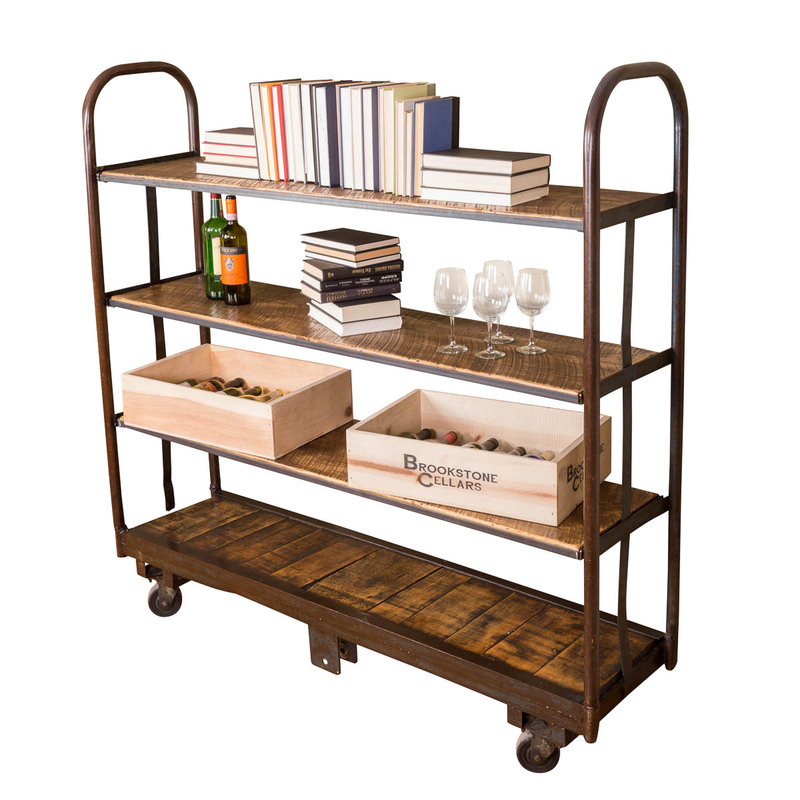 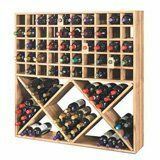 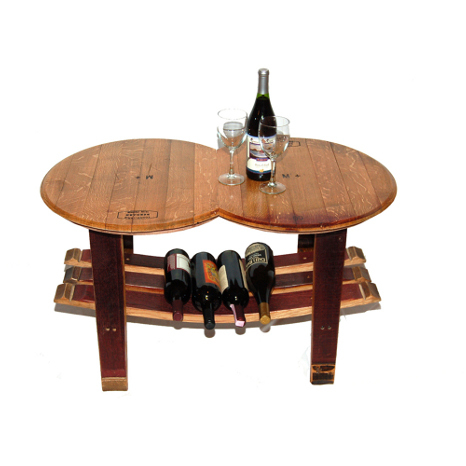 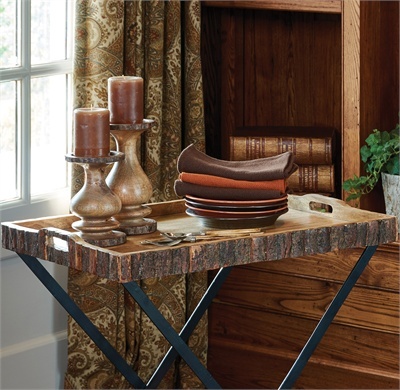 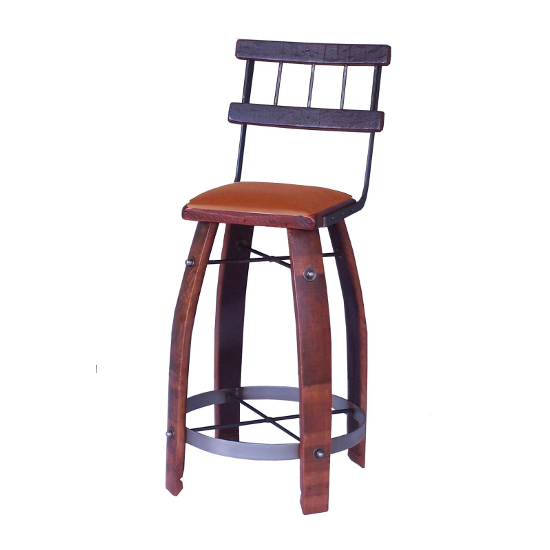 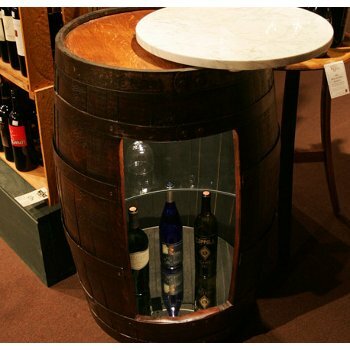 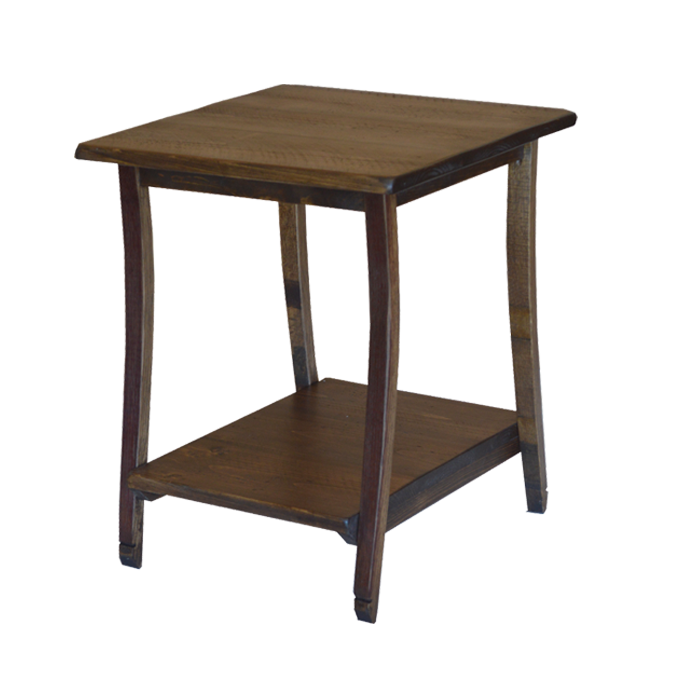 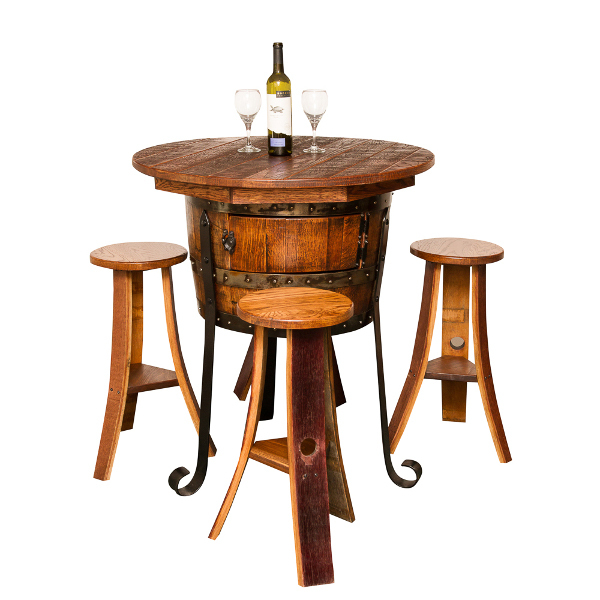 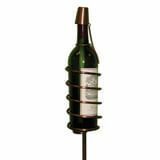 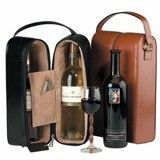 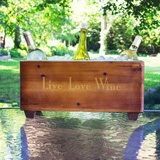 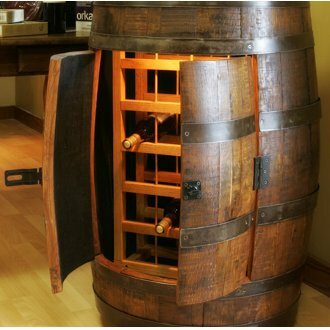 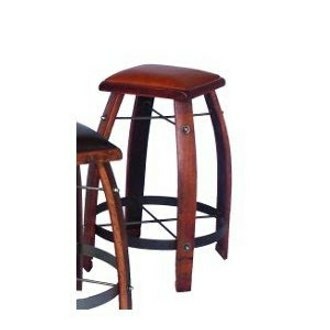 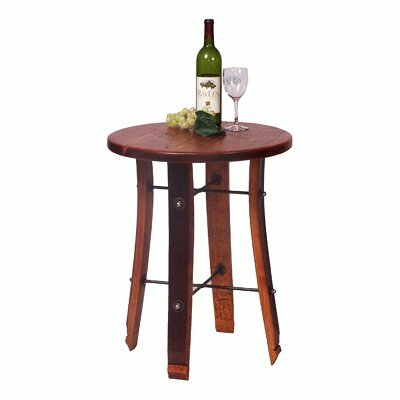 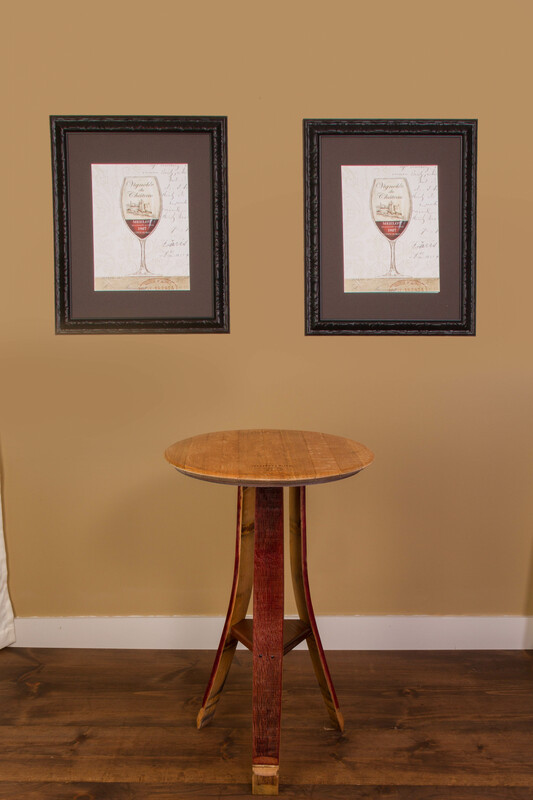 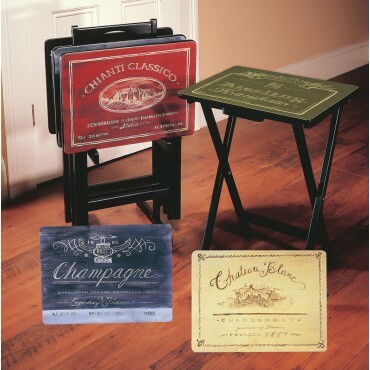 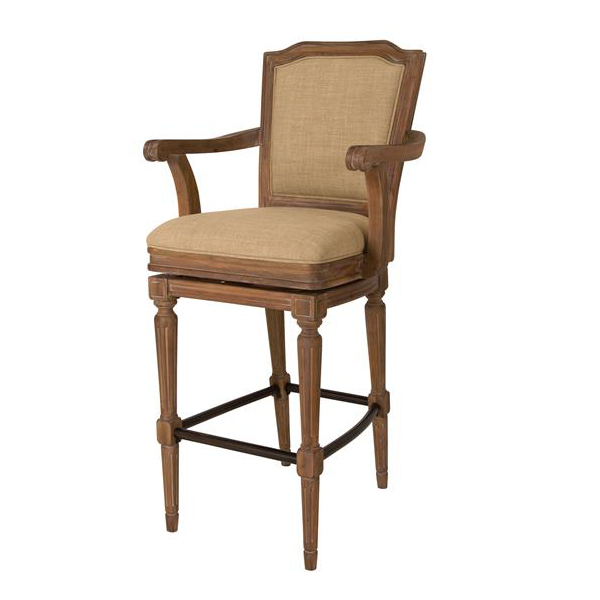 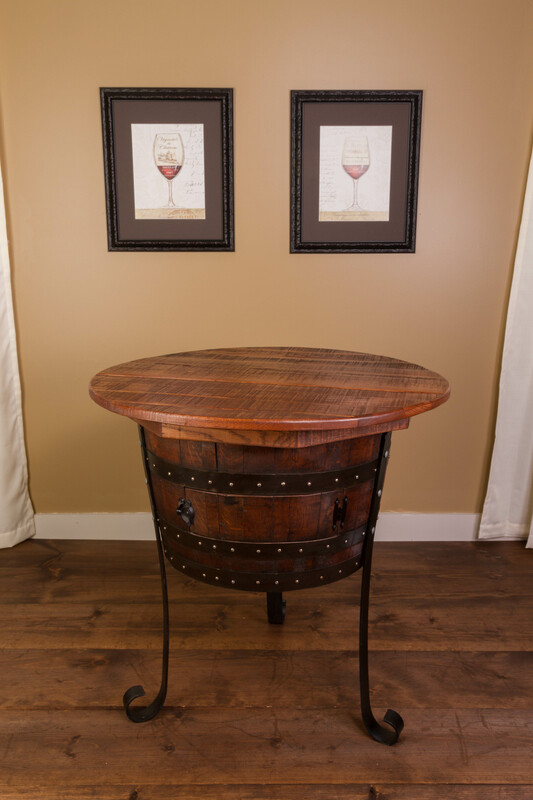 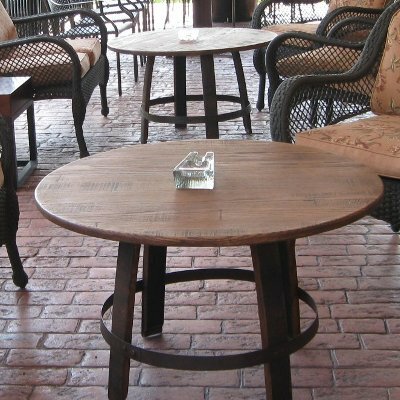 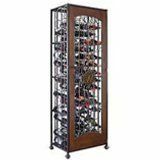 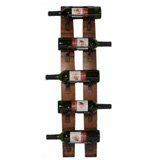 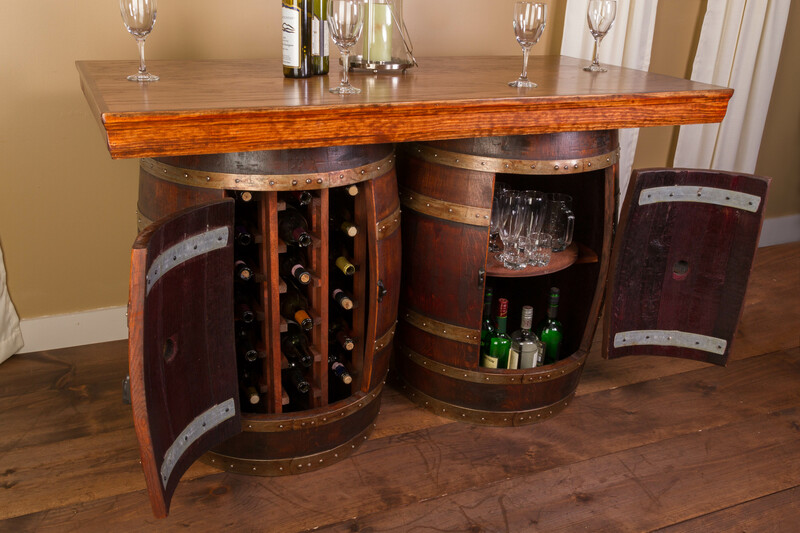 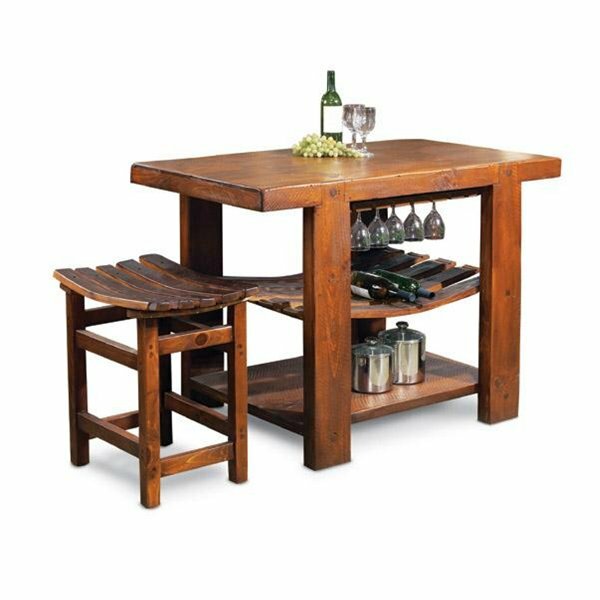 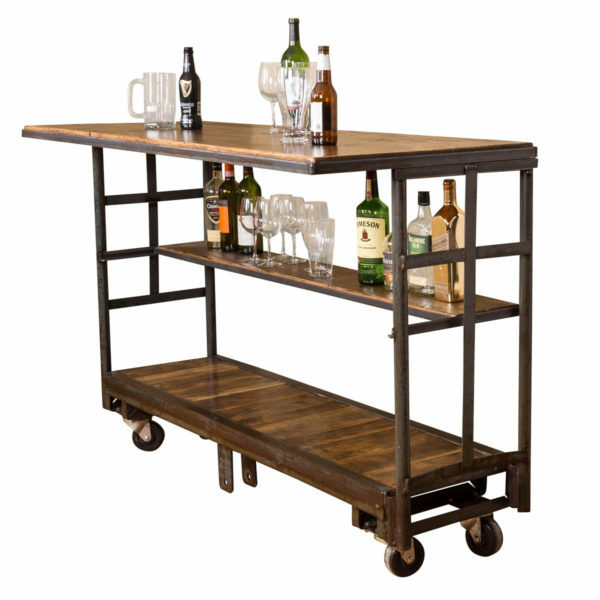 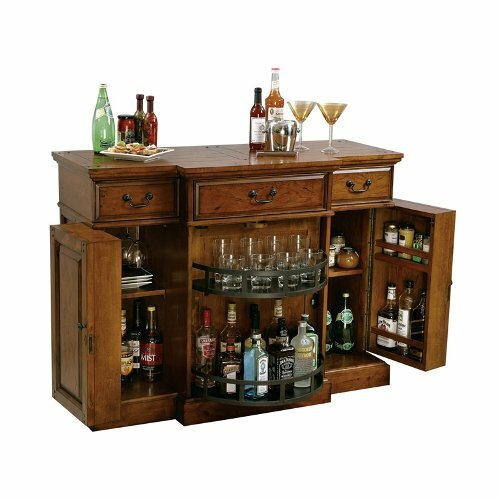 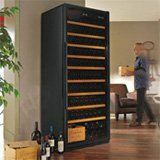 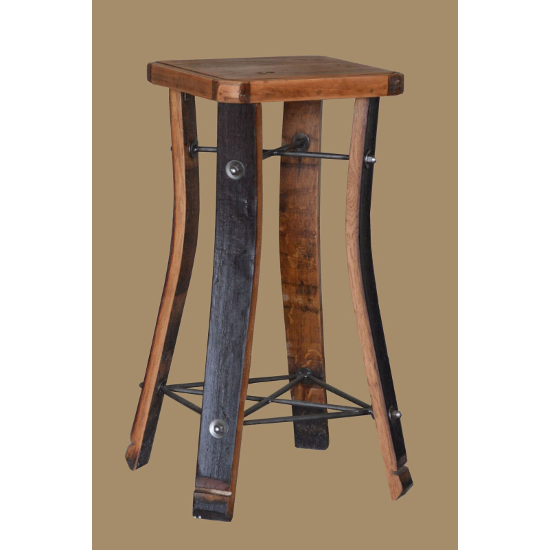 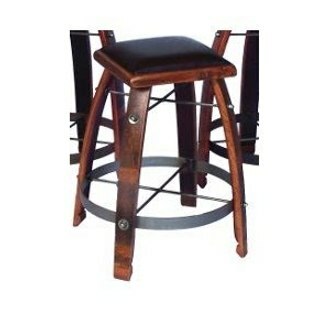 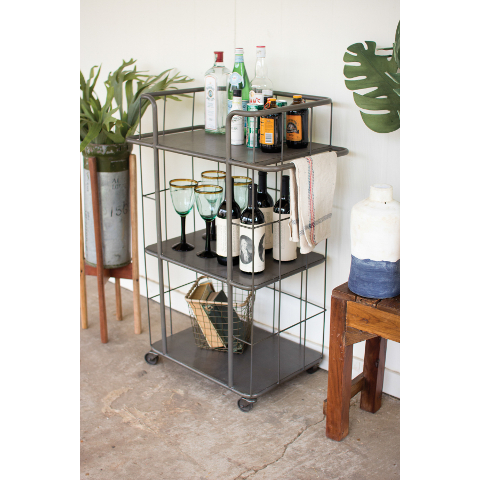 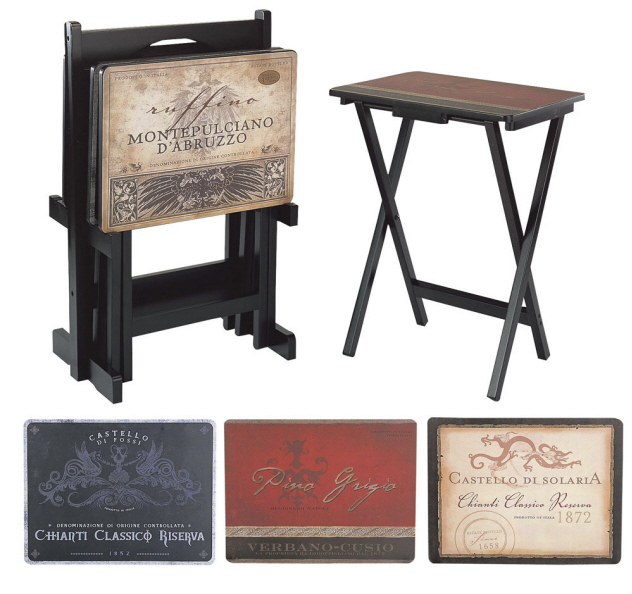 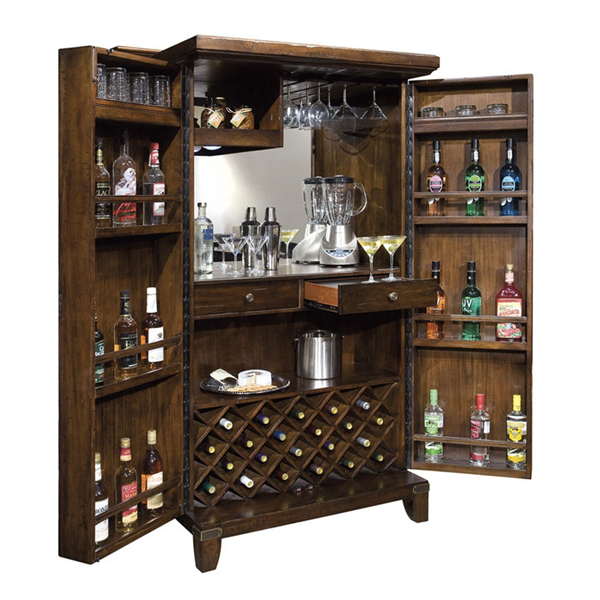 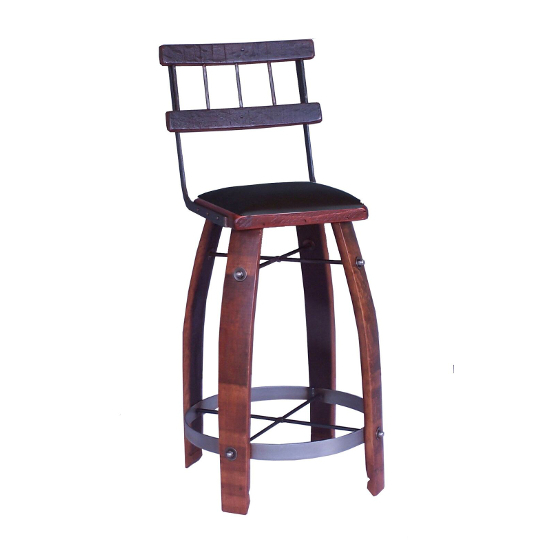 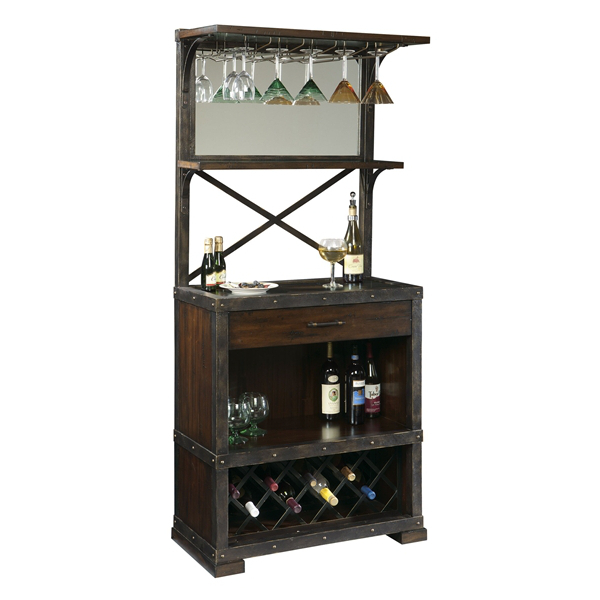 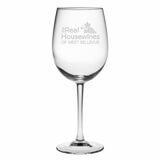 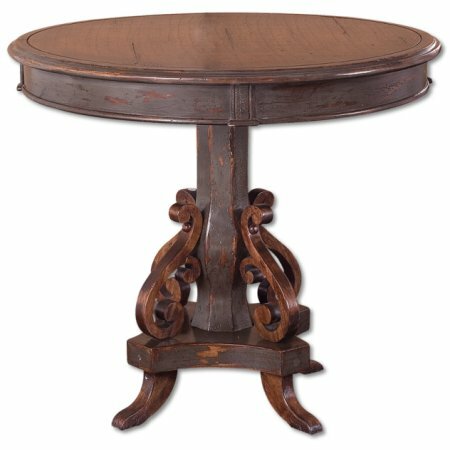 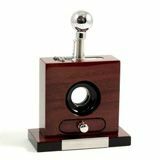 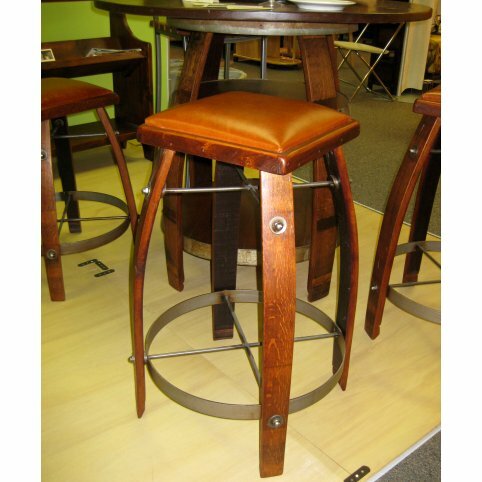 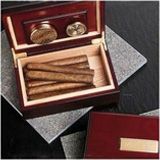 In our selection, you can find seating, tables and cabinets to hold wine or other items. 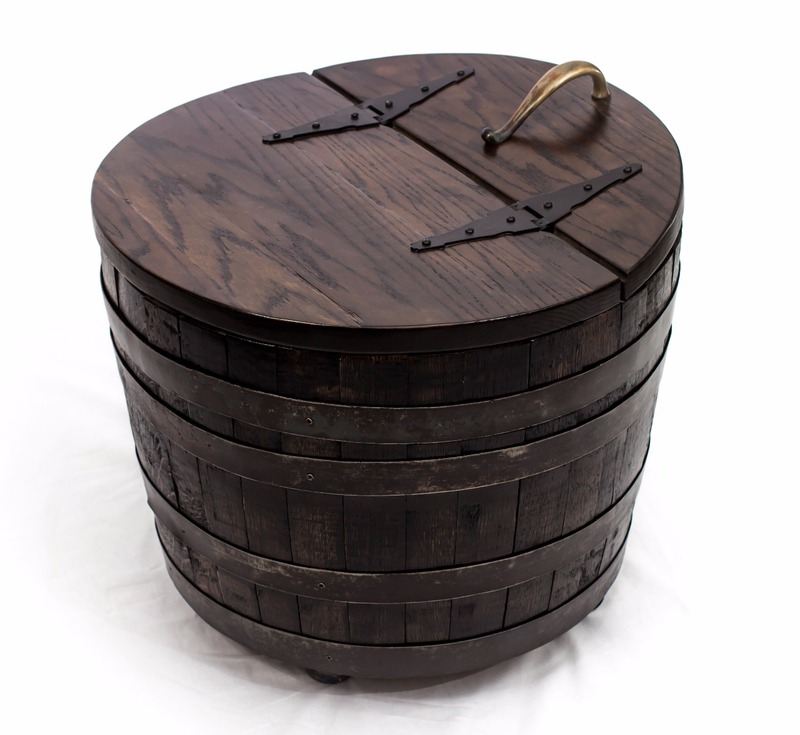 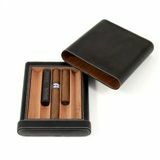 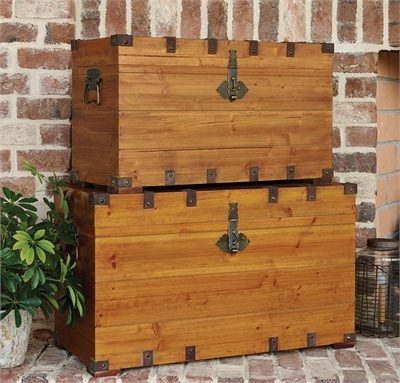 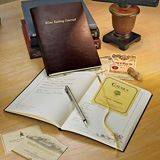 Many of our pieces are made with oak barrels, and they also feature quality materials such as leather. 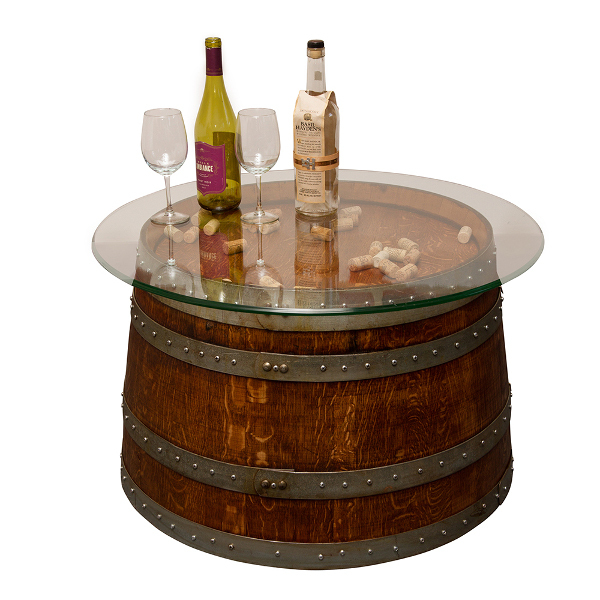 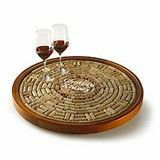 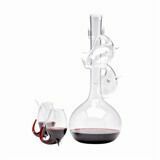 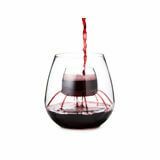 Add these pieces of wine furniture to your dining room, living room, study or office. 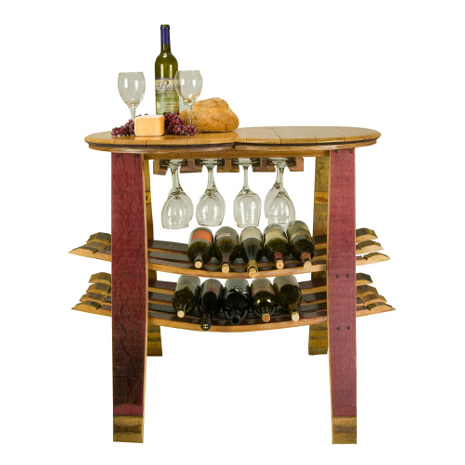 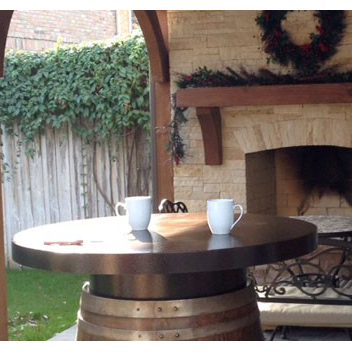 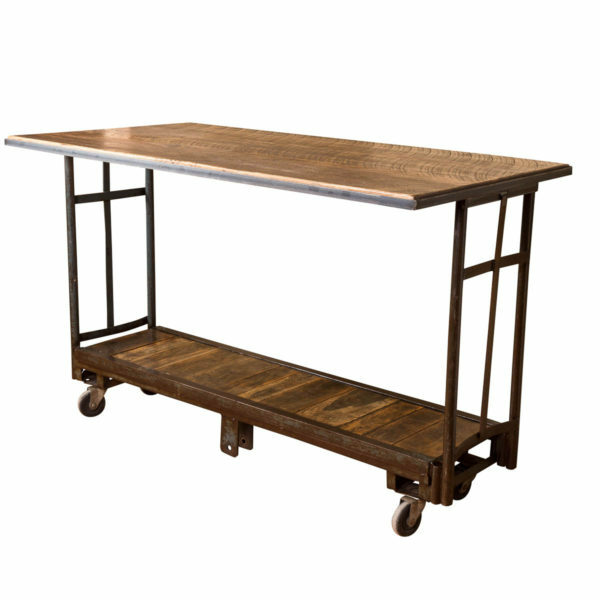 If you have a favorite place for hosting a gathering, be sure to put a wine bar furniture selection there. 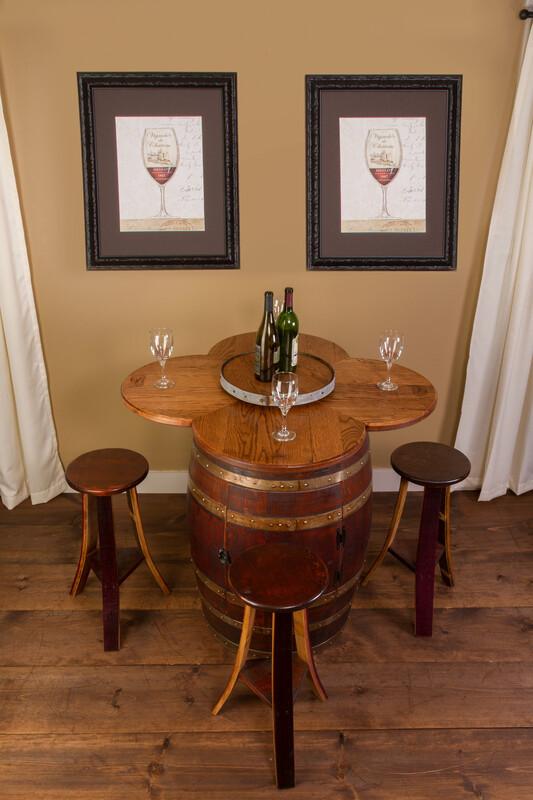 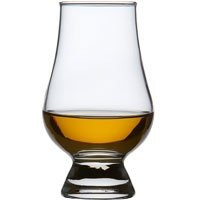 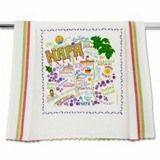 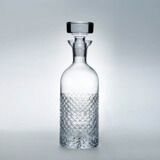 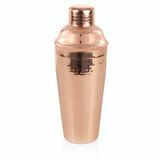 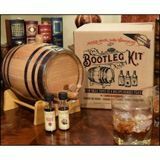 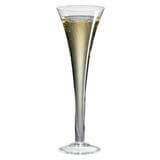 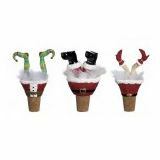 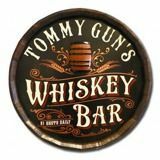 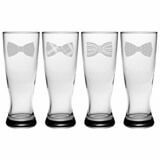 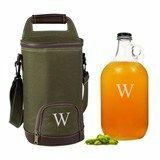 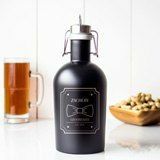 Your guests will adore these designs, especially since they once held everyone’s favorite drink. 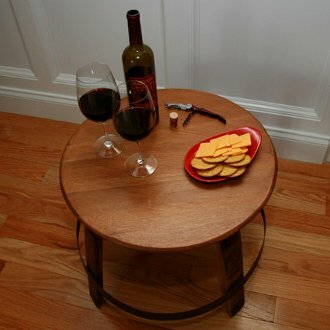 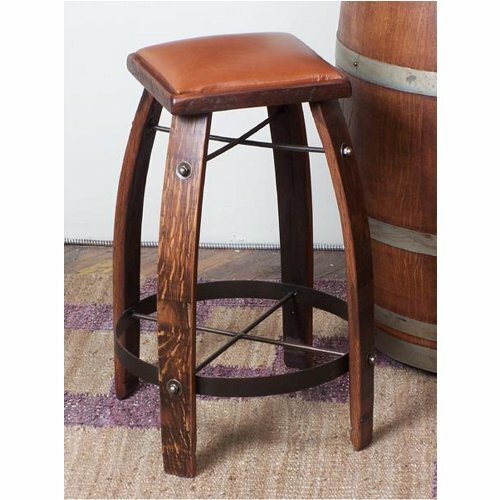 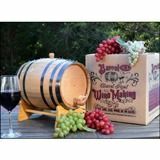 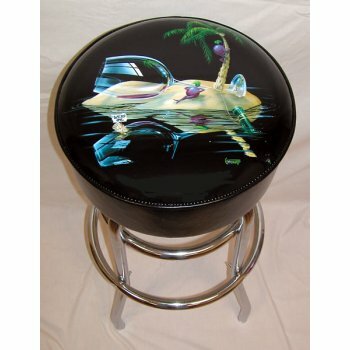 Party attendees can sit on a wine barrel stool while sipping a glass of wine and enjoying some gourmet cheese. 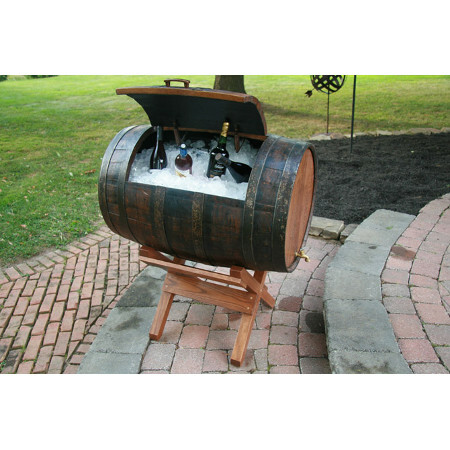 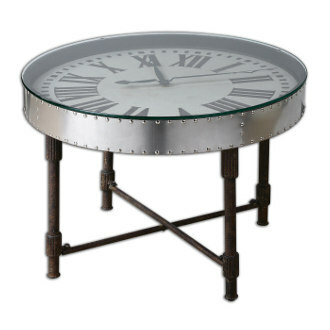 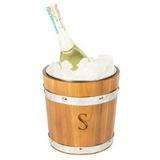 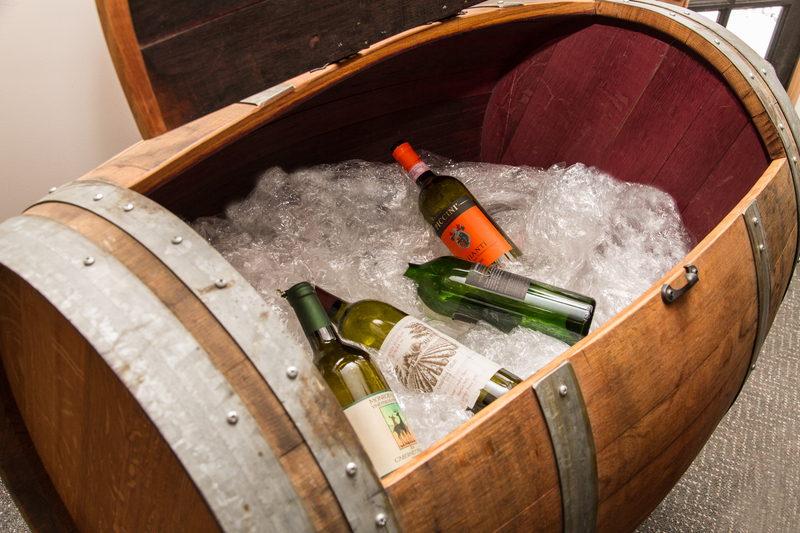 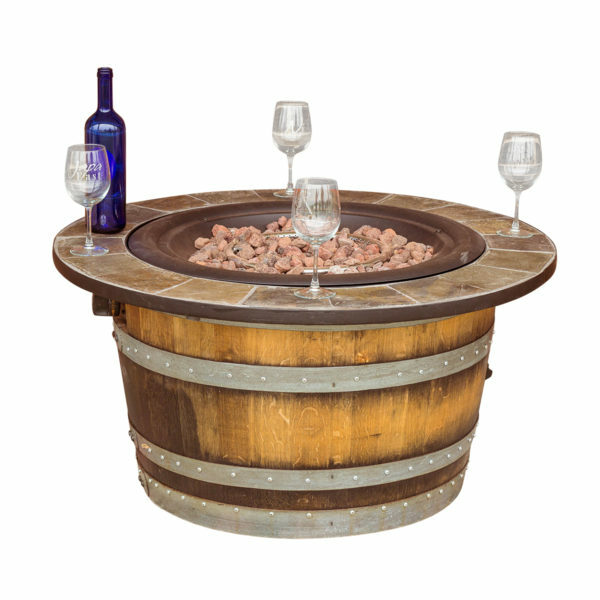 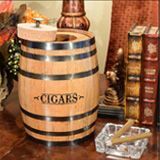 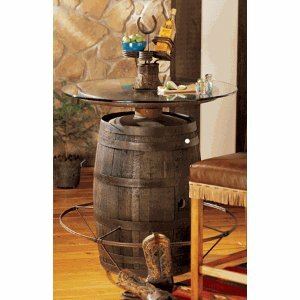 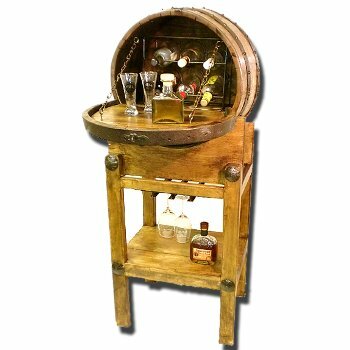 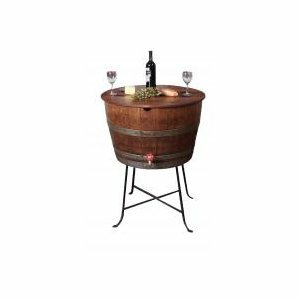 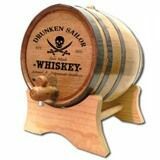 Or you can serve drinks and hors d'oeuvres from a wine barrel cabinet or table. 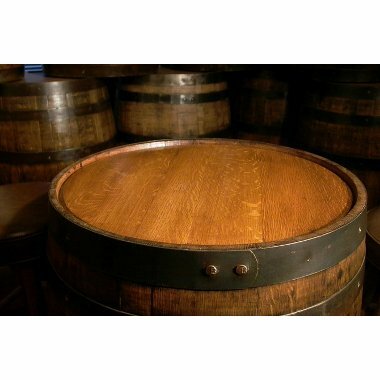 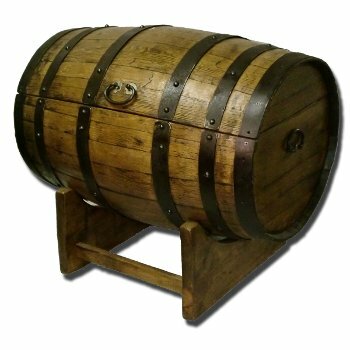 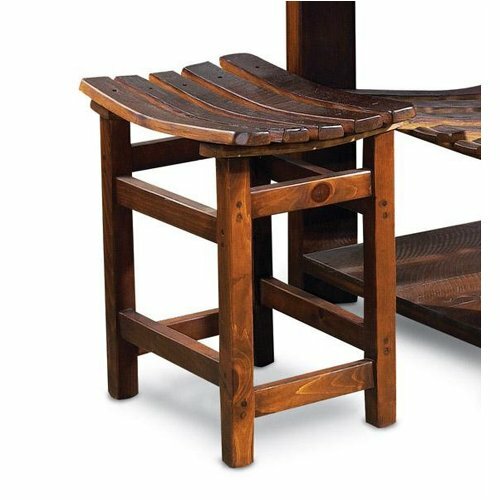 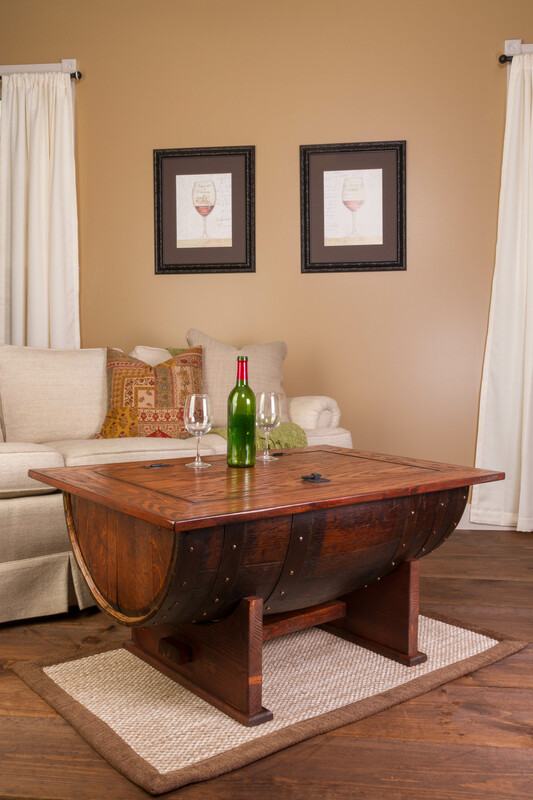 Even when you’re not hosting a party, these reclaimed wine barrel furniture selections add sophistication and personality to any room of the home.